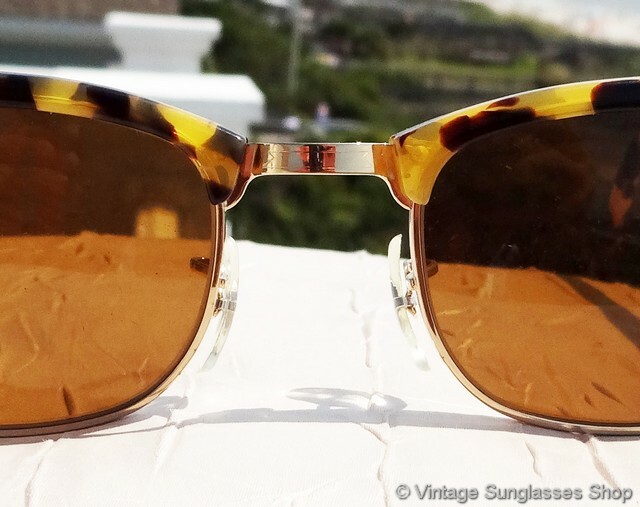 1 Vintage Ray-Ban W1483 Clubmaster Square sunglasses are the hard to find, low profile variation of iconic B&L Ray-Ban Clubmaster sunqlasses. 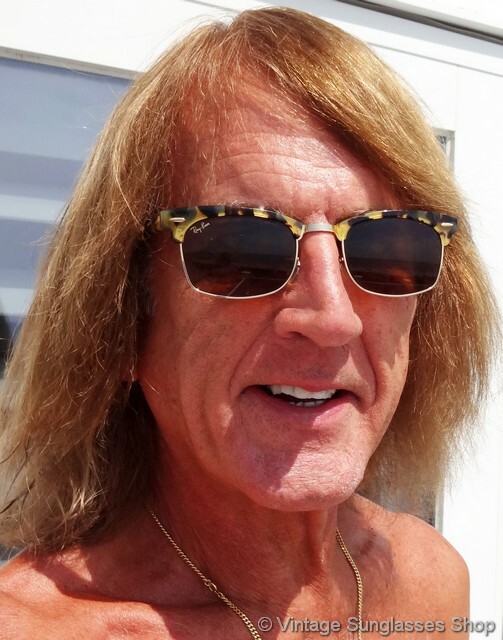 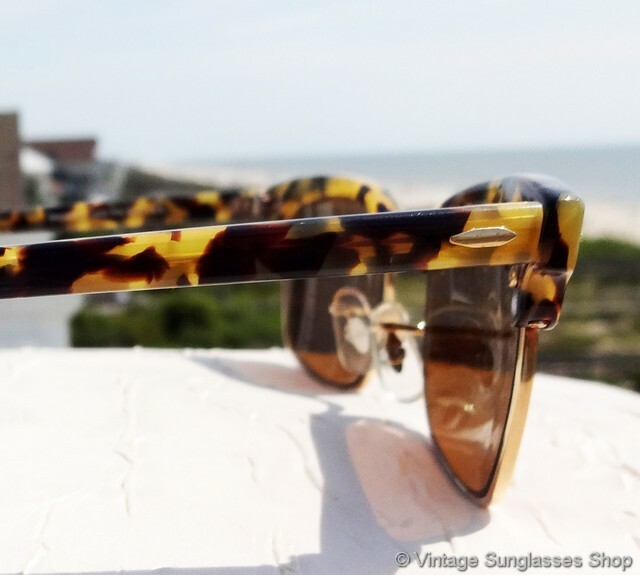 The lower profile shape gives them a clean, modern look suitable for a wide variety of face sizes, and the yellow tortoise shell top accent looks great with the brown mineral glass Bausch & Lomb B-15 anti-glare lenses. 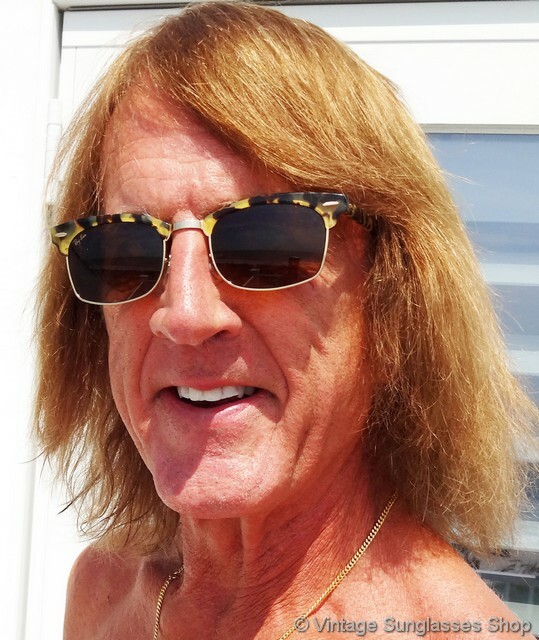 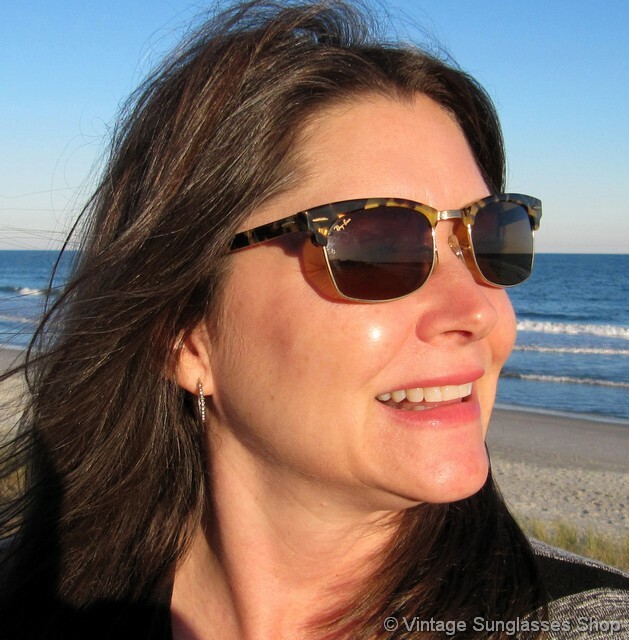 The unisex Ray-Ban W1483 Clubmaster Square frame measures approximately 5.5" temple to temple with Bausch & Lomb B-15 lenses that measure 2.0" x 1.375" at the widest points with both lenses laser etched BL near the hinges..The rear of the nose bridge is impressed B&L Ray-Ban USA, the nside of one ear stem is impressed Bausch & Lomb Ray-Ban USA, and on some production one ear pad is impressed W1483 XTAS direct to you by way of an Atlanta, Georgia collection of fine vintage Ray-Bans. 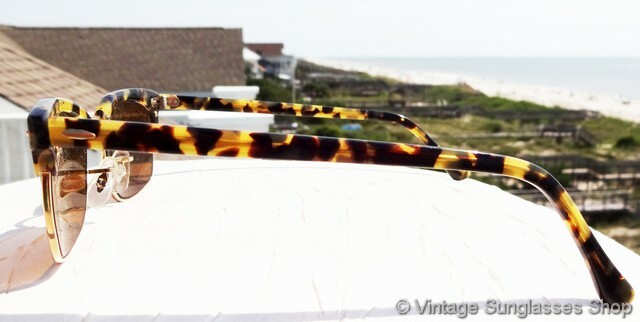 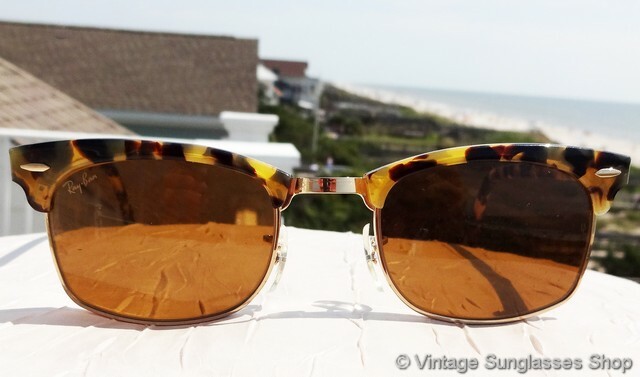 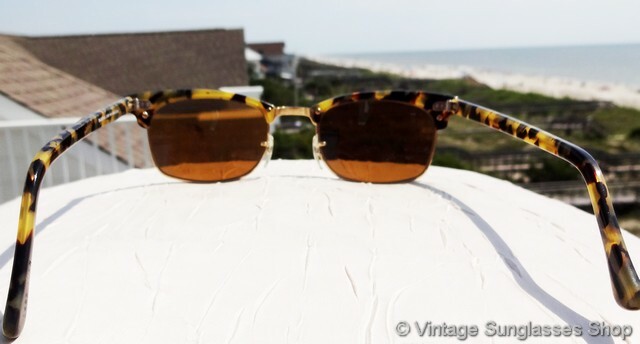 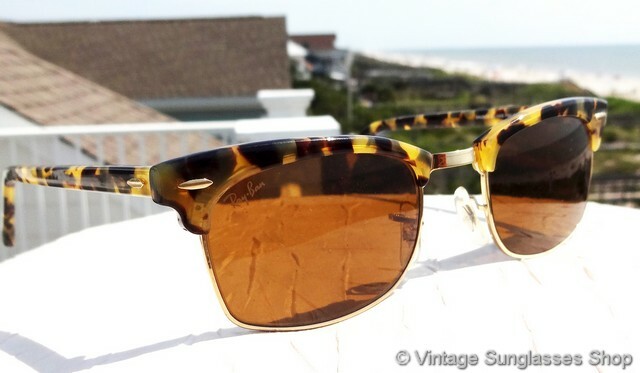 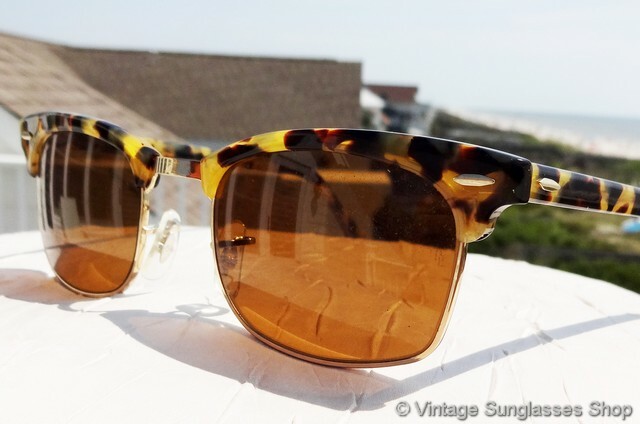 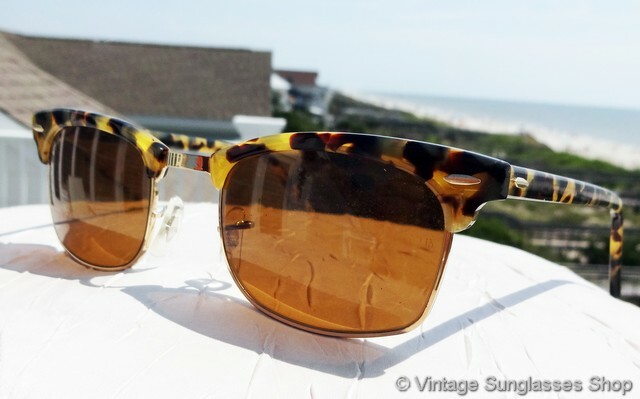 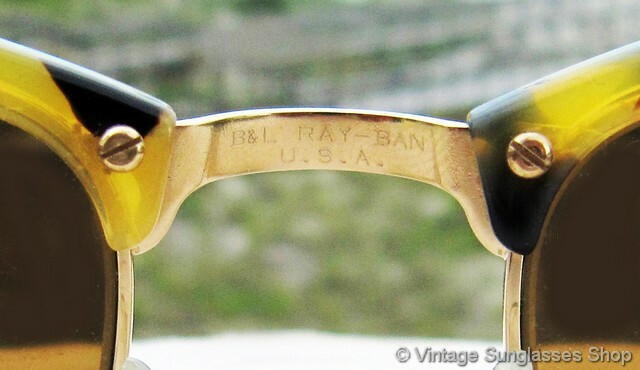 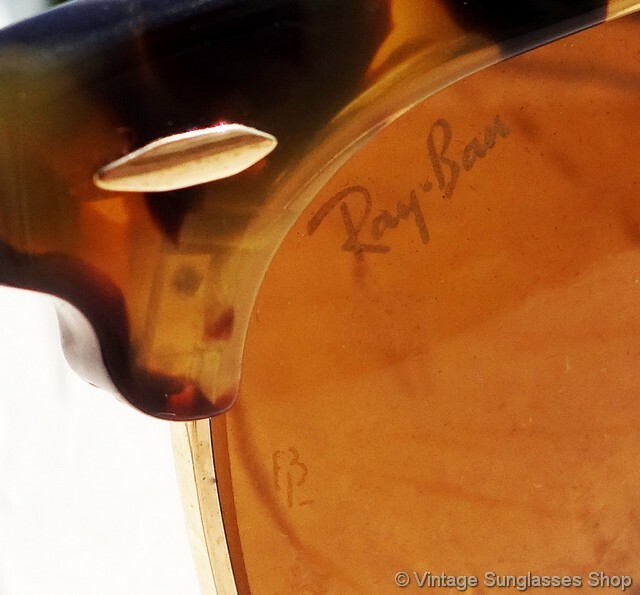 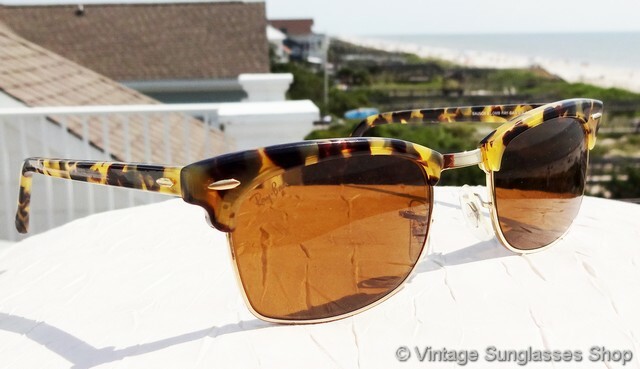 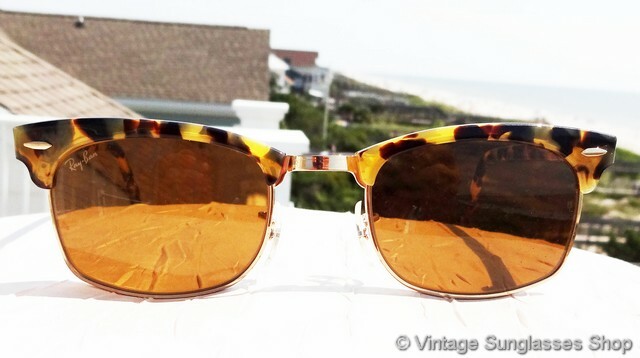 2 Step up another level beyond our already unequaled vintage condition standards with new old stock Ray-Ban W1483 Clubmaster Square sunglasses in mint, unworn condition.